Now a day most of the people do use computers on daily basis for various kind of jobs. Among the computer users, most of the users use the computers for official purposes in office premises only. But, there are lot of people who use a computer back at their home too. Apart from them most of the students use a computer at their home for various reasons, as well as programmers, freelancers, gamers, and even general users to use the computer for entertainment purposes and for the sake of using the internet also. In all, the total number of computer users around the world are more than 4 billion, which is huge. And this huge number also face so many problems in computer and one of them is overheating issues. If the user uses the computer back at the office only, then he/she may not need to worry about the problem, as he/she can report the problem to the technical team. But the users who use the computer for personal purpose at home need to solve the problem by themselves. Though anyone can hire a professional to solve the problem, sometimes can become a big expense issue. As, the overheating issue tend to come back over time again and again, so the user must be aware of the problem and the solution. So, here in this article, you will know why this overheating is a serious issue for your computer. 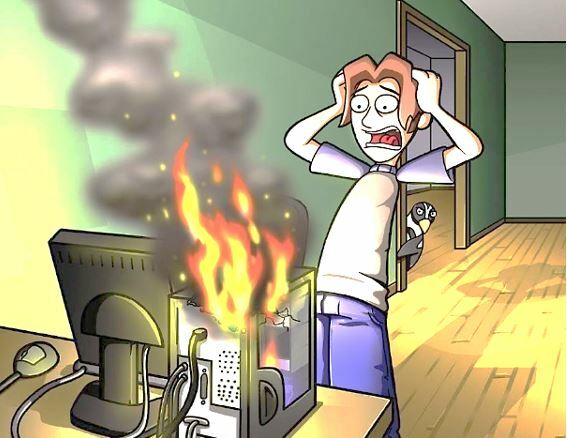 In simple words, continuous overheating will shorten the life of the computer and its internal components; whether it is a Laptop PC or Desktop PC. The overheating problem can be seen in laptops much more than desktop PCs. But in both cases, the overheating can significantly shorter the lifespan or even destroying the motherboard, CPU, GPU. It also can cause data loss from the hard drive too. Good quality computer hardware is pretty expensive and no one would like to shorten the lifespan of that. Beside this, overheating can cause a computer to slow down the processing speed, even it can cause automatic shutdown often, even in some cases of laptop users, after the auto shutdown the computer is not starting up again at all. The difference in performance between an overheated computer and a cool computer can be seen very clearly. So, if your computer is facing a problem like auto shutdown very often, or slow processing speed, very low fps in games, or even window freeze and lags then the overheating of the computer can be the reason behind that. In these cases, the computer should be inspected properly as soon as possible not only for the performance but also for the sake of the hardware components. As there are various models of hardware available in the computer market, and all of them are different from each other in words of the specification, the safe temperature for each specific part does vary. The safe operating temperature range is normally declared by the manufacturer on the manual of the products. The temperature sensitive parts are usually the CPU, Graphics card, and the motherboard. Combining all the different kinds of products from different manufacturers; it is impossible to tell a specific safe temperature for any computer in general. So, to keep the temperature under control one must know about the parts in detail which he is using. In that case, the manuals can provide help, as well as one can search over the internet along with a model name for more specification and information. One may think about just touch and sense the temperature by touching the vents or the cabinet cover with hand. But, that will not take the user anywhere for sure. To determine the exact temperature of the PC and its components one can try the default BIOS checking system. To do that the user has to restart the PC and, in the boot-screen has to press the BIOS opening key (Delete button in most cases for some it is F10) to enter the BIOS. In the BIOS the user has to navigate to the menu in which the computer hardware and CPU details are given. There will be a field that lists the CPU core temperature. If the user is not wanting or scared of entering the BIOS no problem, there are many software applications available to do the job. Free Softwares like HWMonitor, Real Temp, Core Temp, SpeedFan can be downloaded from the internet. One more popular software is MSI Afterburner, which is free and not only monitors the system temperature but also helps the user to modify the default settings and behaviors of a certain hardware and if needed it allows the user to Overclock it. 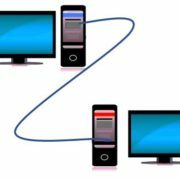 Most of the above-mentioned software have cross-platform versions for Windows PC, Linux PC and Mac PC (like Real Temp, Core Temp). Downloading these above-mentioned software are easy, legal and fast. Installing, Navigating and Using these software are piece of cake, anyone with basic computer experience can do it easily. After analyzing the problems causing overheating, its time to solve them. The first thing the user has to do is to clean the computer both from outside and inside. This can be done easily with help of a vacuum cleaner, just open the side vent of the CPU cabinet and blow high-pressure air at every corner of the box. Look for dust and hairs in the vents of the SMPS (PSU) and also in the fans of CPU and GPU both. The heatsink of the CPU is one of the most common parts which has a lot of dust in it. Clearing the heatsink of the CPU is very important for optimum performance. There is no need for water or any kind of chemical solution to clear the motherboard, just a regular blow of air and carefully use the cloth duster are enough. Wherever inside the Cabinet, you see a fan clean it properly as they tend to catch a big amount of dust in it. Clean any heatsink you see inside. Dust actually do work as an insulator. So, dust does not let the heat dissipate with the help of the heat sink. A dust-free computer’s performance can really good as compared to dirty and dusted computer. To do these cleanings by yourself you do not need to be a professional or a tech geek, anyone can do it with the help of a little time and care. The user has to be most careful at the time while he is clearing the heatsink and fan of the CPU itself. To do it properly you may need to unscrew the heatsink from the motherboard with a screwdriver, you should be very steady and careful at this time. Even after you unscrew the heatsink it may not come off easily as the thermal grease used in it may still working like a gum, which makes it stick to the CPU. Do not need to panic, do not use anything as a lever to pop it open, gently move it sidewise and keep moving it like that until the heatsink come off, and this is the only way you can do it without any harm to the CPU. After that clear the heatsink and the fan properly. Then clear the top of the Processor and rub off the existing thermal grease. Now apply a good quality thermal paste in small quantity and fix the heatsink above it again. Do not think like that if you use a lot more thermal grease it will work better. Using too much of thermal grease can make the case worse, it may block the air ventilation. So, you use it in a small amount only. After all this keeping the vents open start the computer to check the speed of the fans. There are a couple of Softwares which can also measure the speed of the fans as well. If any fan is underperforming replace it with a new one. Computer cabinets are designed with care and keeping in mind a specific way of air ventilation. So, plug in a fan for each of the given fan spots. If need more power for the fans you may need to switch to a better SMPS (PSU). Keep in mind that shortage amount of power delivered also can be a cause of overheating of the PSU, which partially raise the temperature of the whole system. So, using a good quality and more than enough power supplying SMPS is always recommended. Do not think about keeping the side vents of the cabinet open to cool it down. It is really a noob mistake. It will make the fans working worthless as well as the main components a will be exposed to the open air and dust which in turn can worsen the case. Instead of keeping the vents open try to keep the room cool, in which the computer is. To keep the room cool you can install an Air conditioner for sure, which is good for temperature control as well as good for dust control. Always keep the hotter parts of the computer like UPS and cabinet away from each other, so that the PC components do not catch heat from the neighbors. If you are using a computer which is an older and your room is also not that clean from dust or do not has an AC then you should plan for a routine maintained of the PC like twice in a month. In the case of laptop users using a cooling pad under the laptop is a good idea. Using heatsink mounted RAM is a good idea, to reduce the heat generation. Even after cleaning job the computer still showing the poor performance due to overheating then you may need to go down a little bit deeper to analyze the root of the problem. 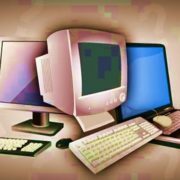 If you are using an old computer make sure that the software and operating system you are using is compatible with the hardware of yours. 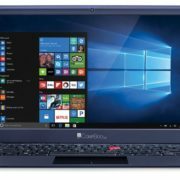 Otherwise, if you are using latest operating system and software of present day in a computer which is like 7-8 years older, the software is too heavy for the hardware to handle which in turn making the hardware hotter than usual, and that is behind all the trouble you are facing with your computer. To use the latest Softwares the latest quality hardware is also needed. To check the compatibility of the software or operating system read the manuals hard copy or on the internet. If you are using an SMPS (PSU) which is already 3-4 years older, it may be facing a reduction in efficiency which in turn is not giving the amount of output power which it should provide in normal. It can be the reason behind screen freezes and auto shutdown problems. In that case, you should replace the SMPS with a new one as soon as possible. To determine if the SMPS is faulty or not you can use a multimeter or simply you can plug another SMPs and test the computer’s performance. This problem also goes with Graphics cards. No matter how good your graphics card was at the time of buying after 4-5 years of use it will be overheating naturally as the requirements of the games and other software with visual effects increased a couple of time than then. Which in turn creating much more pressure on the GPU and turning it hotter than usual. There is also one more thing anyone can use that is liquid cooling for the CPU. Yes, the liquid coolers do worth the money as they are way more efficient than any stock coolers which comes up with the CPU. They also need a regular service for optimum performance. However, they do have a radiator which catches all the dust, and the user needs to clean that radiator on a monthly basis for best outputs. You can update your BIOS too if possible, to make the motherboard up to date with latest features, which in turn will help the motherboard to work better and in turn, it will stay cooler than it used to be. As we all know that computer parts worth a lot of bucks so no one of us would want to destroy them and everyone would expect to get the best out of it. To do it you must take good care of you own computer’s hardware. If you are scared then we can encourage you to try all the above steps once in presence of some experienced PC user, and this you will learn how easy the procedure is. Even after that if you are not comfortable, then you should take professional help which can cost you some money on a regular basis.